Diversity is the best description for lakes in our area. Given our proximity to the Sierra Nevada Mountain range and the deserts below, anglers have a wide range of choices. Alpine lakes are scattered throughout the Sierra’s and offer majestic views of large pines, pristine water, and eager trout. Access to these lakes ranges from very easy to difficult. Backpacking the Sierra’s affords the opportunity to reach deep into these high mountains for those seeking solitude. Desolation Wilderness located West of Lake Tahoe is one of many areas to explore. 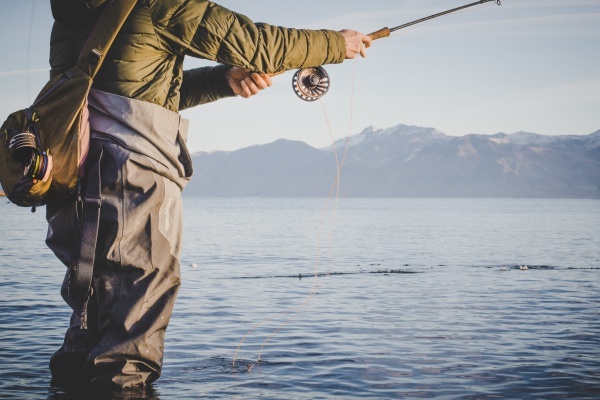 If easy access is more your style, Jackson Meadows’ offers great fishing opportunities in more than 10 alpine lakes. The campgrounds are pristine and RV’s and trailers are welcome. The Summer months through early Fall are a great time to fish these lakes and the best time to beat the heat. The Reno Fly Shop staff and guides have extensive knowledge of these beautiful lakes and welcome your inquires. Go explore the Sierra’s. 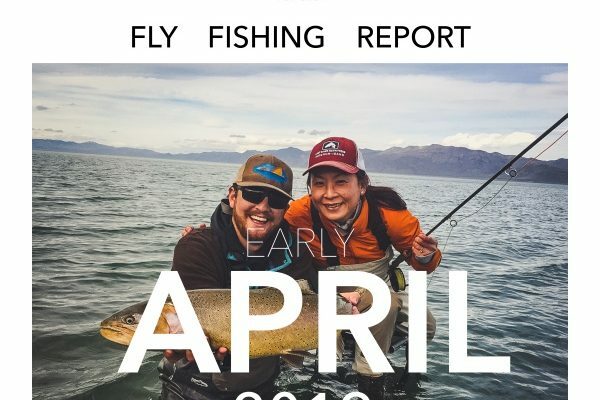 One of the last remnants of historic Lake Lahontan, Pyramid Lake holds the world record for largest trout ever caught on hook and line at 41 lbs. Today you can catch Cutthroat trout of over 20 lbs on a fly rod from a ladder. Foam beetles and midges can be used to hook up with monster Cutts. These fish get big eating Tui chub a species native to Pyramid Lake. You may also find the Cui-ui, a Pyramid Lake native, on the end of your line. Season starts October 1st and continues until June 30th. At the Reno Fly Shop we carry all your Pyramid needs, from ladder rentals to shooting heads. 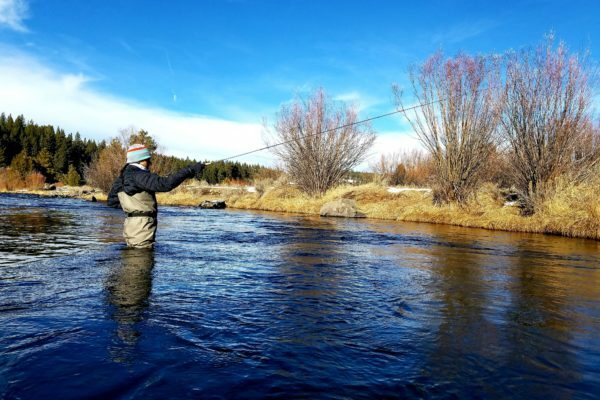 Supplying the Sierra Valley ranchers, this high desert gem is one of the most consistent fisheries around. The Eagle Lake strain of Rainbow trout are notorious for their fight per pound. The wide variety of hatches throughout the year provide anglers with plenty of opportunity to hear their reel scream. The easy access and clean campgrounds make this a great weekend getaway. It is common to see Bald Eagles and Ospreys soaring overhead, or if you’re lucky, you will see them drop in on an unsuspecting trout. The big brother of Frenchman’s, Davis yields a larger version of the Eagle Lake strain of Rainbows. These trout are harder to catch making the lake a preferred destination for angler’s looking for a challenge. The knot busting trout here get to choose from wide variety of food including Hexegenia’s, damsels, callibaetis, blood midges, snails and caddis. They eat them all and once you figure it out, hold on. The majestic Sierra Nevada Mountain range contains an endless supply of alpine lakes. These high mountain lakes provide an amazing backdrop of soaring pines, dramatic peaks, crystal clear water and trout that readily take flies. Access can range from easy drive up, short hikes, or for the adventurists, backpacking for as far as you want to walk into a designated wilderness area. There are many different strains of trout in the Sierra’s such as Golden Trout, various Rainbow strains, Browns, Brookies, Cutthroats and the occasional Tiger trout.